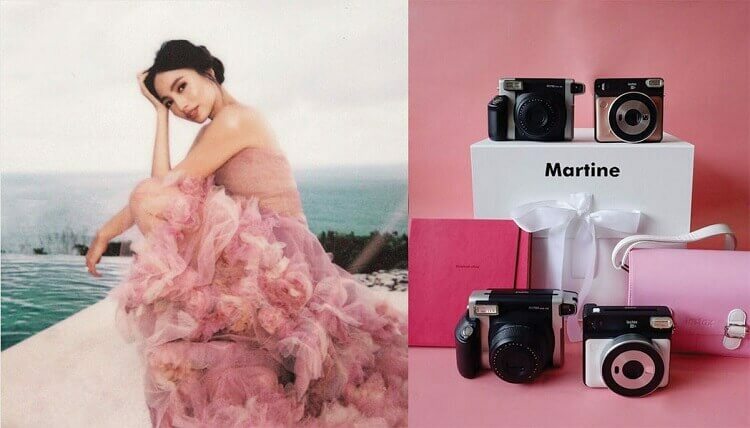 In partnership with Fujifilm, Martine Cajucom has run away from the conventional wedding as she elevated her experience with her Instax gift packs. To make her wedding goals a reality, girl boss Cajucom recently tied the knot with her long time beau, businessman and TV host, Cliff ho at Alila Villas Uluwatu resort in Bali, Indonesia. Their union was celebrated over social media through a witty hashtag #MartineIsAHo. True to her love for Instagram-worthy snapshots, Cajucom treated her bridesmaid with personalized Instax gift packs composed of an Instax mini camera, camera bag, two packs of Instax films, and a compact photo album. See Also: Fujifilm to Release Instax SQUARE SQ6 and SQUARE SQ6 Taylor Swift Edition! The Instax SQ6 is available in three stylish colors: Pearl White, Graphite Grey, and Blush Gold. It is priced at Php7,999. Meanwhile, the Instax Mini 9 can be dressed in Flamingo Pink, Lime Green, Cobalt Blue, Smoky White, and Ice Blue color variants. It is tagged at Php3,999. For wider shots, the Instax Wide 300 sells for Php6,999. All are available at Fujifilm authorized dealers nationwide.